This slide is my cue to rant about how so many brands seem to be on Facebook simply because it’s there or because everyone else is. Car insurance companies ask people to like a post if they’re happy it’s a long weekend. Airlines ask insultingly simple “brainteasers” (“Bet you can’t guess this popular destination!” accompanied by a photo of Big Ben and the clue L_N_O_). Toilet paper brands prefer to share funny memes instead of anything relevant to either their product or their potential customers. “After all,” I would conclude, “why should a toilet paper brand be on Facebook? Who hits ‘like’ on their favorite brand of toilet paper for their whole network to see? 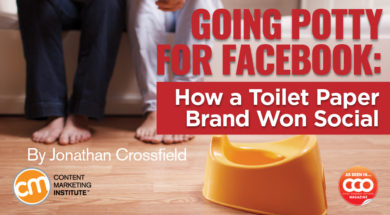 Who’s even thinking about toilet paper when connecting with friends and family in social?” Cue laughter, nods of agreement and on to the next slide – usually a rant about corporate language and why the word “solution” should be banned from the marketer’s lexicon. 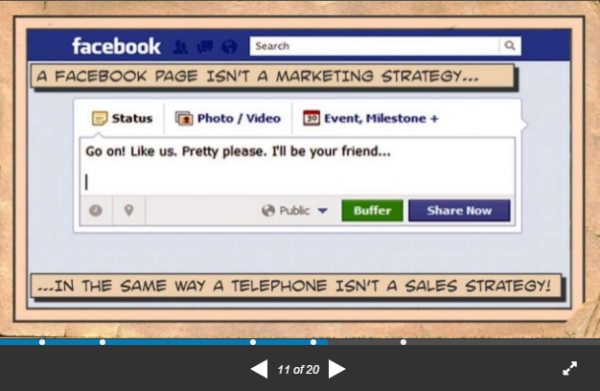 Except I now need to revise my ridicule because Selpak – a leading brand in the Turkish tissue paper industry (as they discretely prefer to describe it) – recently became one of my favorite examples of how to use Facebook in content marketing. A finalist in the Facebook distribution category of the 2016 Content Marketing Awards, Selpak was narrowly pipped to the post by Arby’s. Selpak cleaned up at the International Business Awards in 2015, however, winning gold for Best Facebook fan page as well as silver for both Communications Campaign of the Year and Branded Content Campaign of the Year. How much do you really care about – or even notice – the pretty patterns embossed onto your toilet paper when you’re ripping off a couple of sheets to wipe where this sentence will politely choose not to follow? As long as it’s not that cheap toilet paper I remember from primary school (you know the stuff, about as absorbent as tinfoil and nearly as scratchy), we’re probably not thinking about which brand we prefer when we sit on the throne. Despite the many ways brands try to differentiate their products – bigger sheets, nicer fragrances, prettier patterns – toilet paper is pretty much a commodity. And just about the only place most of us even think about what we want or expect from a roll of flushable tissue is when forced to make a decision in the supermarket aisle. “It is really hard to ensure the loyalty of your consumers for a toilet paper. At the end of the day there are lots of options to choose from,” says Ipek Alkan, engagement manager at ADBA, the Turkish marketing agency behind Selpak’s award-winning Facebook strategy. While many toilet paper brands opt for memorable advertising campaigns full of cute puppies and jingles, Selpak achieves strong brand awareness in the local market through promoting awareness of personal hygiene issues. What problem does your content solve? “Selpak, as a premium brand in the category, wanted us to come up with a clever solution to sustain its market share and increase customer engagement and, hence, loyalty,” Alkan says. The ADBA team created a Facebook strategy that focused on solving a particular problem for a particular customer persona. They knew why the brand should be on Facebook, but there still needed to be a clear reason for those Gen Y and Z women to care about a Facebook page about toilet paper. By April 2016, the page had gathered 98,000 “likes” but, more importantly, had also received nearly 2,000 questions from moms seeking advice. Forget the usual meme-baiting tricks – this is genuine engagement. Selpak has become a trusted source of potty-related info. “We have a KPI that 100% of the questions from mothers on the page have to be answered by our experts,” says Alkan. “We had to reply to almost 2,000 questions, all personalized.” For this strategy to succeed, these answers needed to deliver on the promise of genuine, detailed, and expert advice. The page would lose all authority with the audience very quickly if those supplying the advice and information had no background in child development beyond a few scripted responses researched from Google. “Raising a child isn’t an easy task. You can’t talk about it if you don’t know the ‘mathematics’ behind it. We wanted to make sure we were telling them the right stuff to do,” says Alkan. 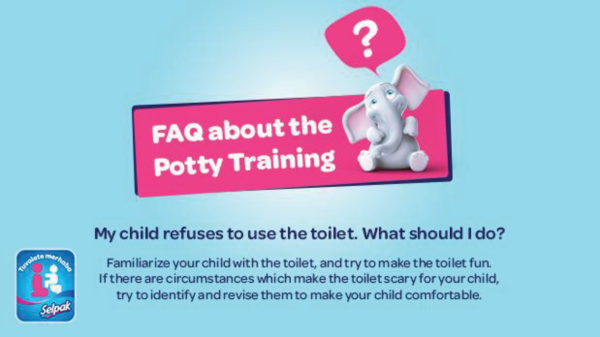 The agency needed to bring in the potty experts; to that end, it partnered with child psychologists from the Bengi Semerci Institute. “(They) know how to deal during the potty training phase and were able to support us (in) guiding the mothers,” Alkan says. This commitment to provide a genuine service, backed by qualified experts in the field, separates the Tuvalete Merhaba page from so many others I see. And it’s working at a business level too. “The decision by Selpak to continue and even scale it further in 2017 and (beyond) is a clear sign the Tuvalete Merhaba initiative pays back to Selpak,” says Alkan. This article originally appeared in the February issue of Chief Content Officer. Sign up to receive your free subscription to our bimonthly, print magazine.